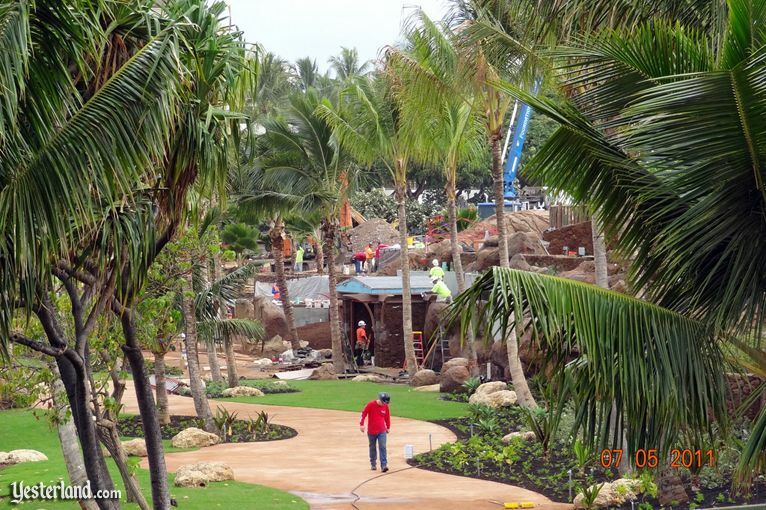 Today’s Aulani update features photos taken in recent days by reader Steve Swicegood. 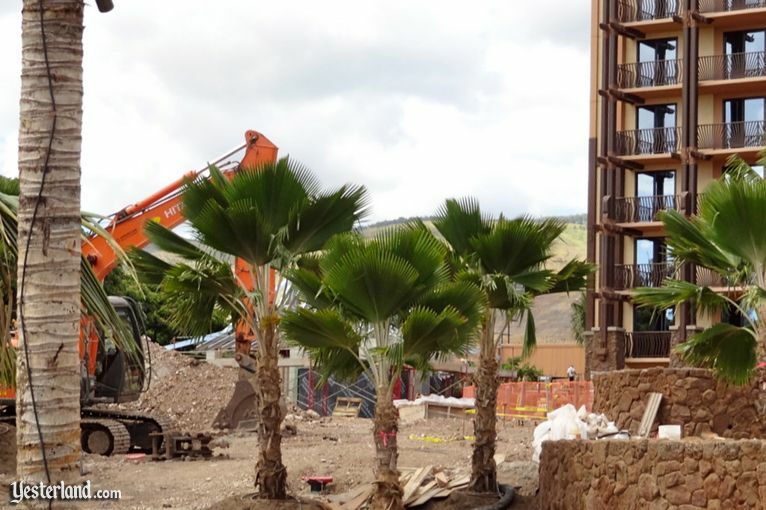 In addition to Aulani itself, well take a look at two of its neighbors, and why Aulani guests might want to visit them. 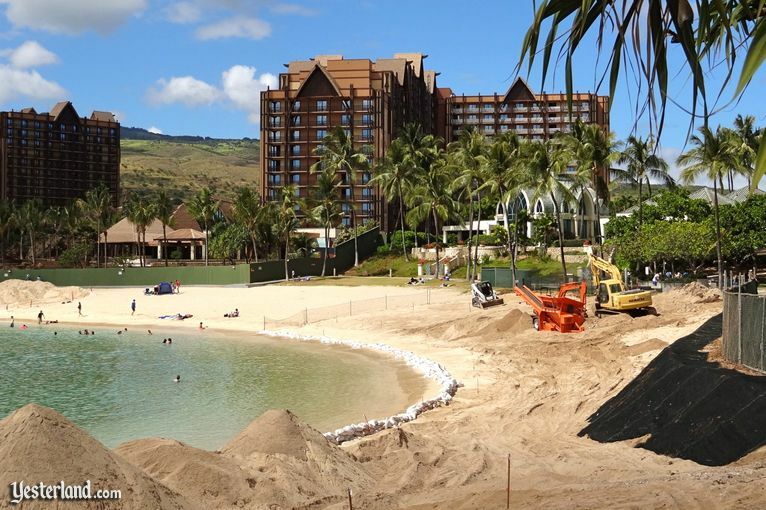 Aulani, a Disney Resort & Spa, Ko Olina, Hawai‘i opens next month on August 29. Aloha! The clock is ticking. The first guests will check in before the end of August 2011. Its the most expensive commercial construction project in the whole state of Hawaii. 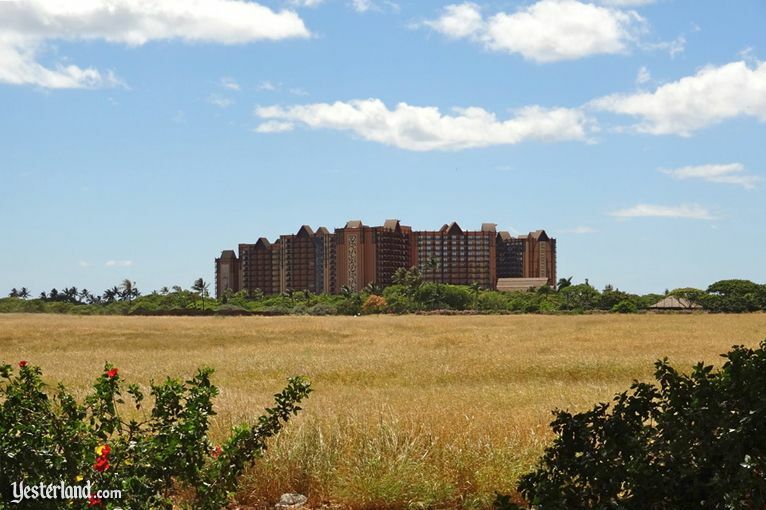 According to Pacific Business News, Aulani’s $800 million building permit puts it way ahead of the state’s second-largest commercial project, a $300 million expansion of a nearby power facility. The tall green construction wall still surrounds the Aulani site, but there are places to get catch a glimpse, even if youre not 12 feet tall. It appears that the grounds will be spectacular. The creative lead for Aulani is Walt Disney Imagineering Creative Senior Vice President Joe Rohde, who is also the creative lead for Disneys Animal Kingdom. Resorts throughout Hawaii have lush tropical landscaping, but Disney takes it to the next level with grounds that tell stories of Hawaiian culture and history. The official Aulani website now lists four table-service restaurants and four quick service counters. The Aulani website has downloadable menus. The sample menu for the Makahiki Dinner Buffet promises “fresh local products and chef-inspired dishes with world flavors.” For adults (which means anyone 10 and older), the dinner buffet cost is $43. For keikis (children), its $21. At the resorts ‘AMA‘AMA signature restaurant, the cheapest entree on the dinner menu is Goat Cheese Ravioli with Local Baby Vegetable Stew for $31. Paniolo Rack of Lamb, Pineapple, Mango, and Poha Berry Chutney is $53. Grilled Lobster with Vanilla Sauce and Seaweed Pancake is $63. The menu suggests that you might enjoy a $26 glass of Caymus Vineyards Cabernet Sauvignon with your $49 Grilled Angus Filet of Beef with Cabernet Sauce and Truffle Macaroni. 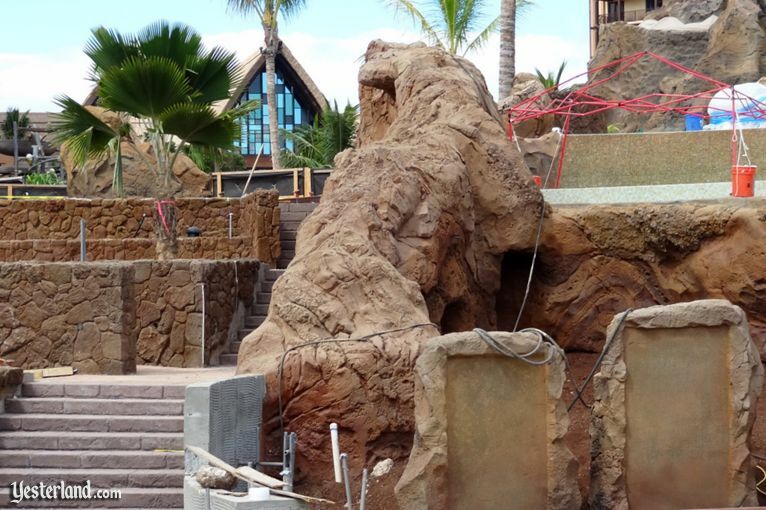 Dining at Aulani will be part of the Aulani experience. However, there are times when Aulani guests might want to dine off-site—to try something different and perhaps to spend less money. The good news is that thats easy to do at Aulani. First, lets see how Aulani fits into the larger resort. 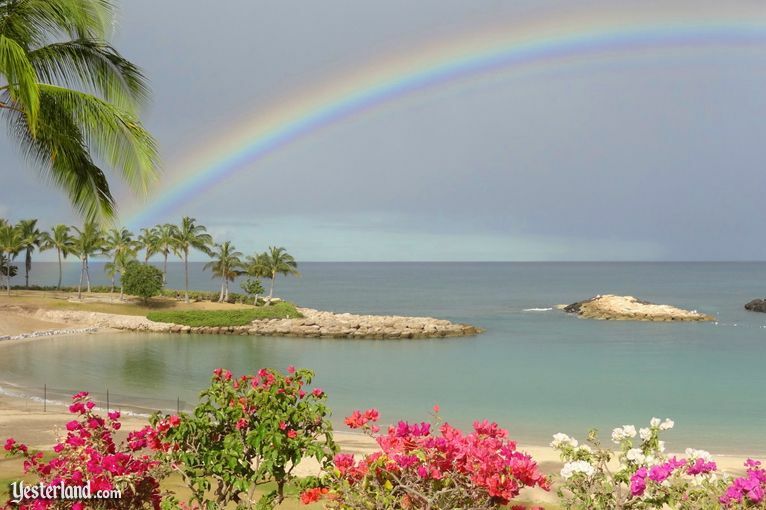 Aulani takes up just 21 acres of the 642-acre Ko Olina Resort & Marina. 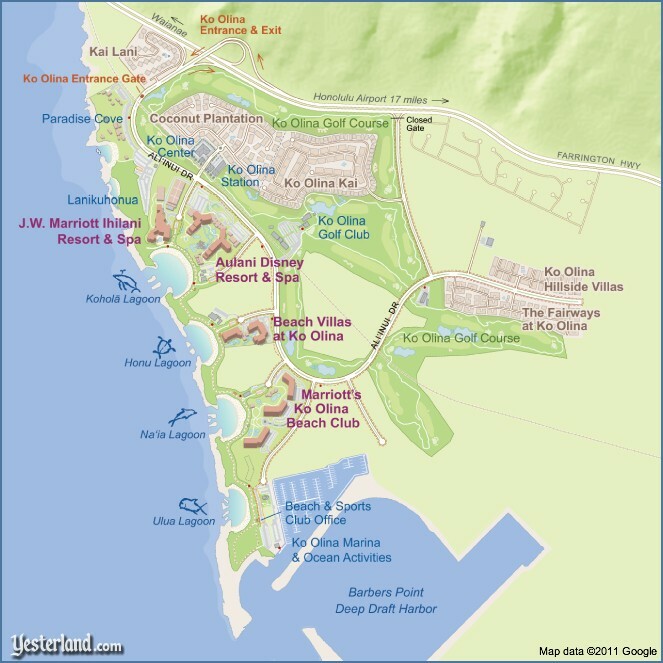 Completed parts of Ko Olina include a recreational marina, a JW Marriott luxury hotel, a Marriott timeshare resort, an ocean-front condominium resort, two small shopping centers, three wedding chapels, a tourist luau, a golf course, and various type of residences. Do you have $800 million? Then you can build your own resort on the scale of Aulani. There are still large undeveloped parcels by the lagoons and by the Ko Olina Marina. The Ko Olina Resort ends at the Ko Olina Marina. The Barber Point Deep Draft Harbor at the bottom of the map (also called Kalaeloa Harbor) is an industrial port visited by large freighters and tankers. All cars enter and leave the Ko Olina Resort at the north end of the resort. 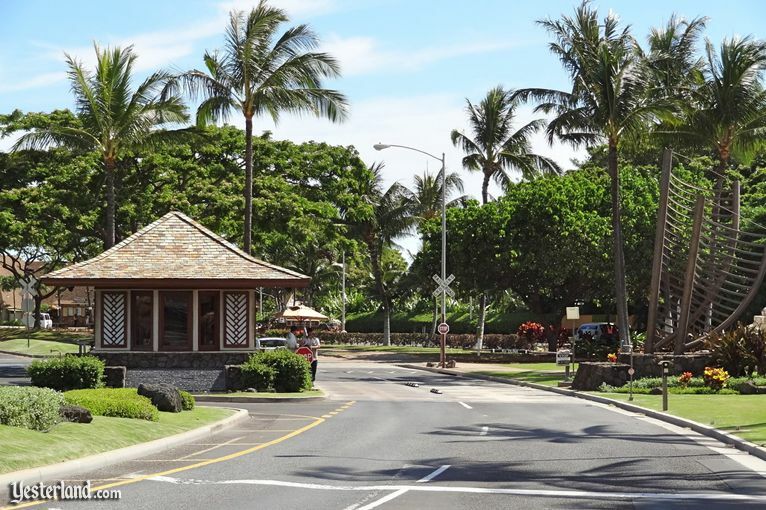 Aliinui Drive, the main artery of Ko Olina, is wide boulevard with highrise resorts on the ocean side and less intensive land use on the inland side. Ko Olina is pedestrian-friendly. A beachfront walkway connects the waterfront resorts and the four manmade lagoons. The streets of Ko Olina have wide sidewalks, usually under a canopy of shade trees. Theres no through traffic, and what little traffic there is moves slowly thanks to a 25 m.p.h. speed limit and speed display signs that flash at drivers who exceed the speed limit. 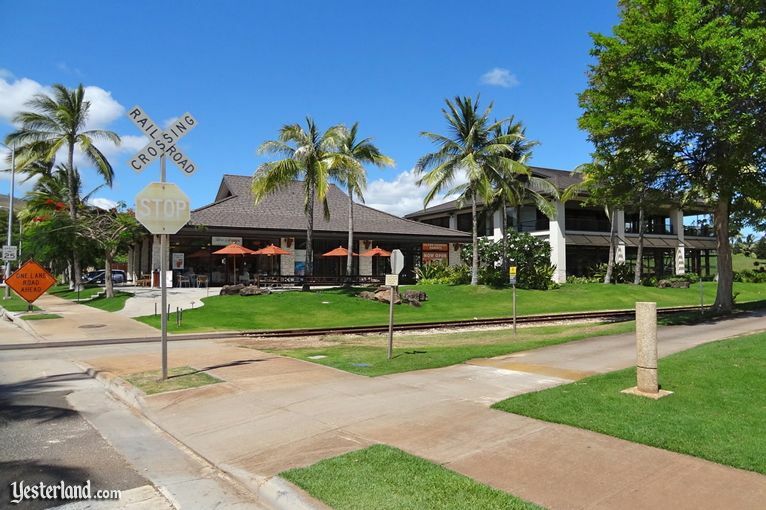 The two shopping centers, Ko Olina Center and Ko Olina Station, are a short walk across the street from Aulani. Although still largely vacant, there are already good reasons to walk over. Despite what the railroad crossing sign might suggest, Aulani guests dont have to worry about freight trains rumbling through at midnight. The only trains on this narrow gauge track are slow, open-air sightseeing trains. The Hawaiian Railway Society operates two scheduled roundtrips from Ewa Beach each Sunday. 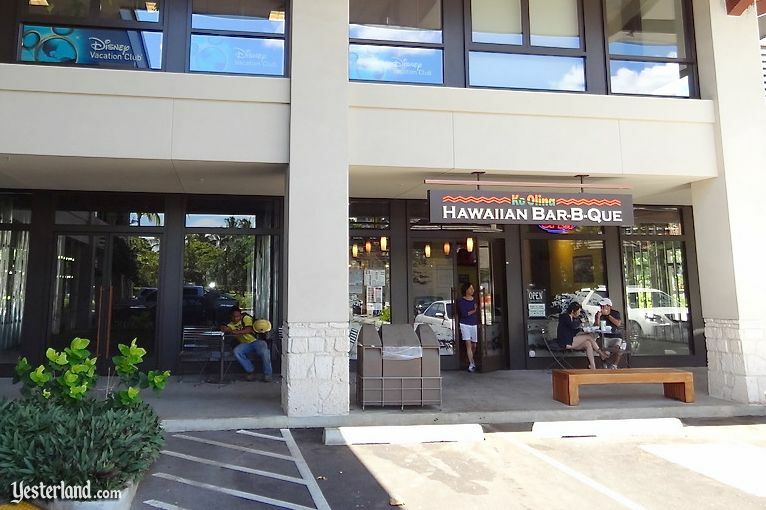 Ko Olina Hawaiian Bar-B-Que is a counter-service restaurant at Ko Olina Center. You can get a $3.55 hamburger, but its more fun to get a Hawaiian plate lunch, with many different meat choices (such as BBQ chicken or grilled fish) served with traditional plate lunch sides (2 scoops of steamed rice and 1 scoop of macaroni salad). Instead of eating in the small dining room, carry your meal back to Aulani and enjoy it on your lanai. Portions are big enough to share. There are party pans for feeding a large family—or as food for a party. Anyone who has been to Waikiki is likely to remember the ABC Stores that seem to be on every block—with some blocks even having more than one. 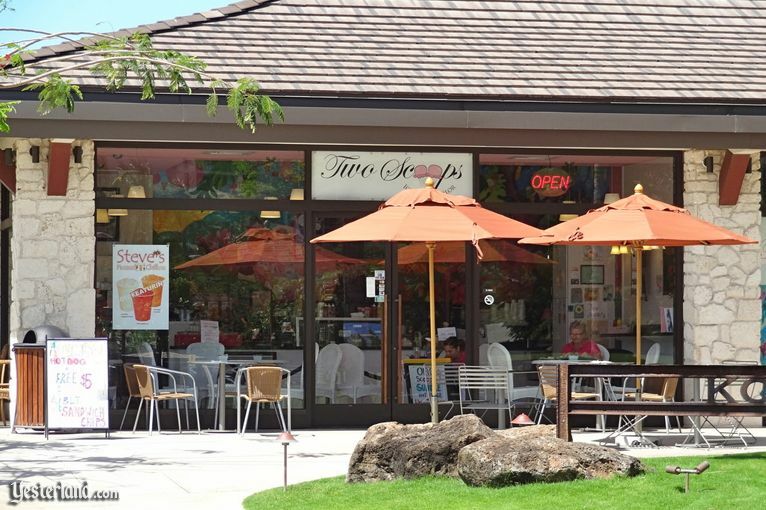 Theyre convenience stores that do a good job stocking things that tourists want and need, such as sunscreen, macadamia nuts, beach mats, basic groceries, and cold beverages of all kinds. For Ko Olina, the people who run ABC Stores created a larger, more upscale version. 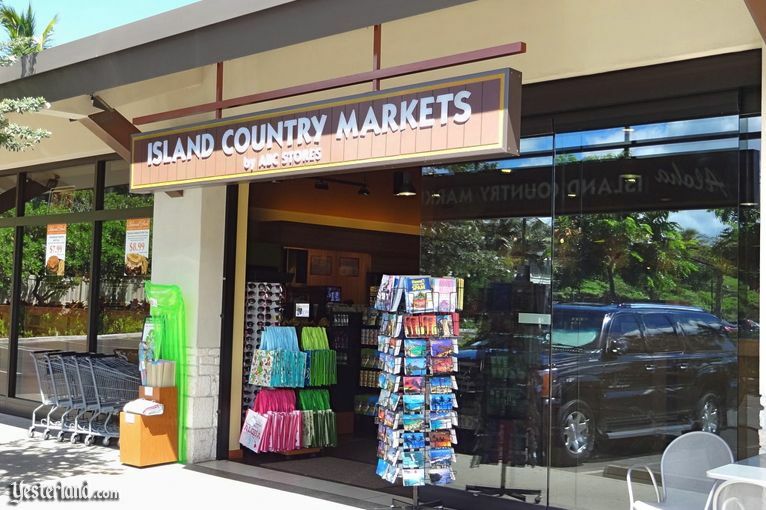 In addition to what you would find at their regular stores, the Island Country Market at Ko Olina has a large wine section, a deli that sells pre-made and freshly made sandwiches, and a larger selection of groceries. The prices are reasonable for a convenience store. 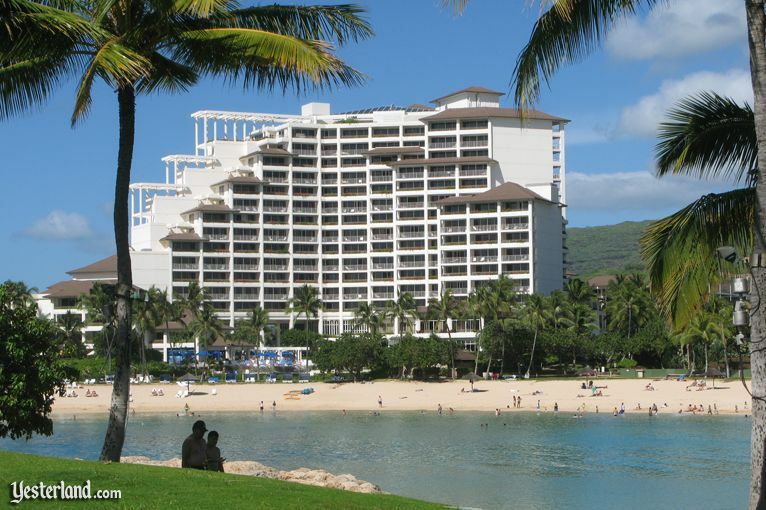 Now sharing Lagoon 1 with Aulani, the Ihilani Resort & Spa was the first and only resort hotel at Ko Olina for many years after it opened in 1993. It became a JW Marriott property in 1999. Its a beautiful hotel, with a soaring 15-story atrium lobby inside and ponds of colorful fish outside. 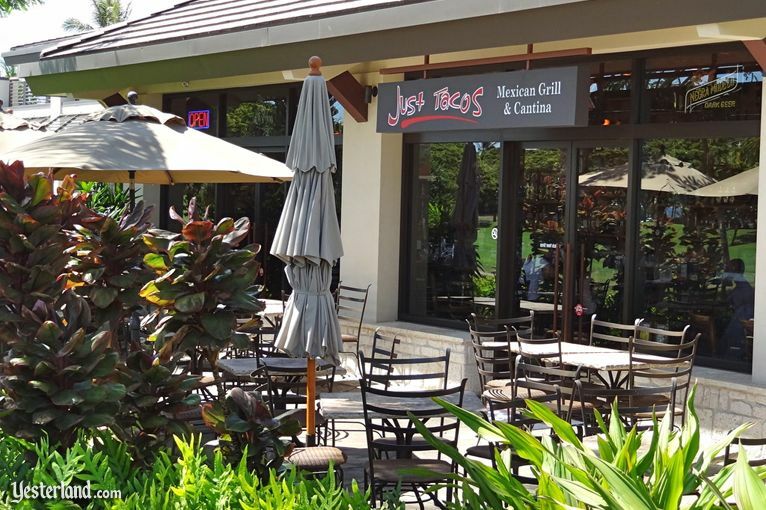 Its also a fine place for breakfast, lunch, and dinner, even if youre not staying at the JW. Ive tried all three table-service restaurants at the JW Marriott. Azul, the resorts elegant signature restaurant, only serves dinner. In January 2011, my wife and I had the prix fixe 3-course dinner ($45) with wines ($20). We enjoyed everything about it and look forward to going back the next time were at Ko Olina. Ushio-Tei Japanese Restaurant is only open for dinner, and only on Friday, Saturday, Sunday, and Monday—so plan carefully. Its worth it. 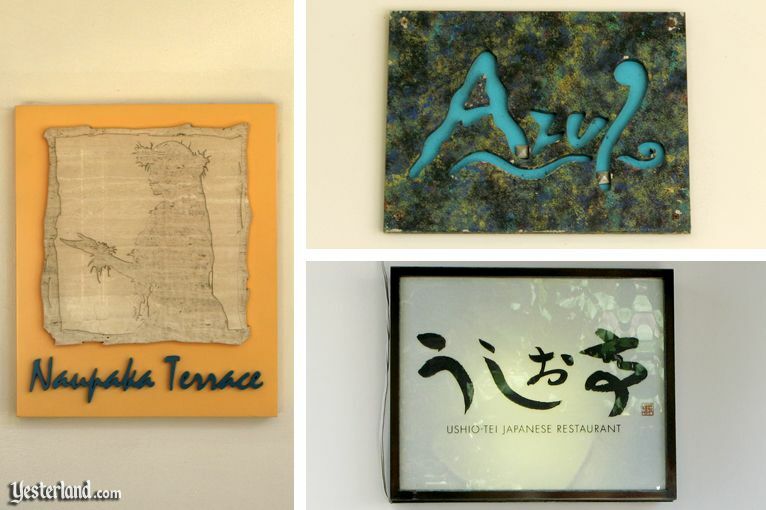 You can order from a menu of sushi, sashimi, and Japanese specialties, or you can choose the buffet ($45). In general, Im not a fan of dinner buffets, but Ive now had the Ushio-Tei dinner buffet three times. The quality was excellent, with different buffet choices each time. Im eager to return. 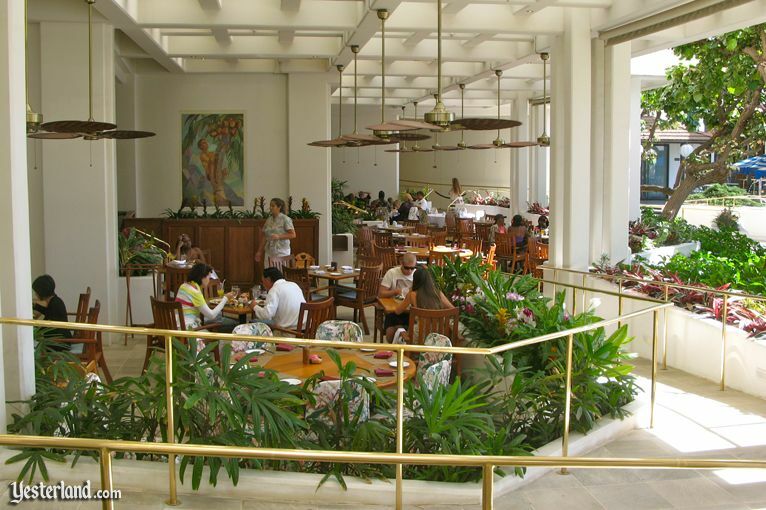 Naupaka Terrace is a casual, open air restaurant that serves breakfast, lunch, and dinner. Considering that its in Hawaii and its at a JW Marriott property, the value is very good—especially the 3-course sunset dinner specials (5 p.m. to 7 p.m) for $25. But my favorite meal at Naupaka Terrace is breakfast. Its much easier for Aulani guests to go off-site than for Walt Disney World guests to do so. When it comes to theme, decor, and storytelling, Im sure that Aulani will beat everything else at Ko Olina. But lets see how Aulani does when it comes to food and value—especially when theres the JW Marriott Ihilani next door. Competition is a good thing. 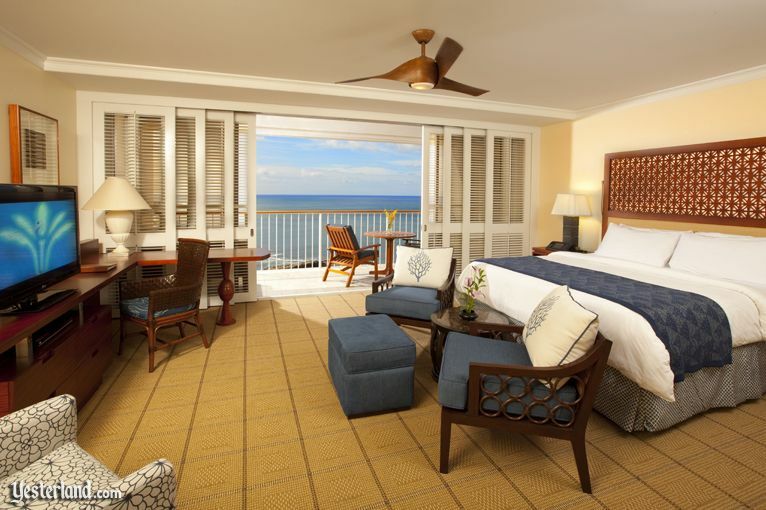 As I wrote in my previous Aulani update (June 28, 2011), the JW Marriott Ihilani completed an $18 million guestroom overhaul in early June 2011. (I didnt have a picture then, but now I do.) I dont think its a coincidence that they completed this project before the opening of Aulani or that theyre promoting their renovated rooms with a special package rate through December 15 of this year. All photos, except for JW Marriott Ihilani photos, by Steve Swicegood, July 2011. Photo of JW Marriott Ihilani room interior courtesy of JW Marriott Ihilani Resort & Spa, 2011. Other photos of JW Marriott Ihilani by Werner Weiss, January 2011.